Would you like to erase signs of stress and time from your face? The first fine lines, blue circles under your eyes, your skin which has lost its elasticity and bright colors — these are the first signs of ageing which you should pay close attention to. Biorevitalization prolongs youth and removes the first signs of skin ageing. skin hyperpigmentation and scars are reduced. Biorevitalization is performed for any troubled areas: face, neck, hands and bends of arms, abdomen, décolleté area, thighs and knees. Biorevitalization at affordable prices in Moscow can be performed at different ages. Age 25-30: If your skin is prone to withering and premature ageing. In this case, the earlier you start having biorevitalization, the better. Age 30-35: It is the best age to have regular courses of biorevitalization. They will help you stay young and beautiful for longer. Age over 40: Biorevitalization is combined with other anti-age procedures: peelings, face remodeling, photorejuvenation, thermal lifting, etc. Why is biorevitalization at our clinic more efficient than in other places? If you make a search query such as “biorevitalization Moscow”, you will find a lot of salons which offer the procedure. But will they perform it properly? Will you have the result you need? 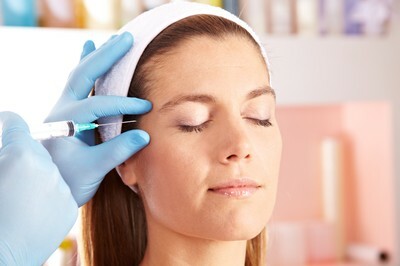 The efficiency of treatment depends on the beautician’s expertise, the preparation quality and the injection technique. Every specialist at our clinic has work experience of at least 5 years. We use IAL-System and IAL-System ACP which are called “the gold standard of biorevitalization”. We use different injection methods depending on the skin condition. That is how we obtain the best effect. For example, we always provide treatment for the delicate eye area while at some clinics they prefer not to deal with this area at all. But if only you look into a mirror, you will see that it is the eye area that needs biorevitalization most. And our beauticians cope with rejuvenation of this part perfectly! We will preserve your beauty. The procedure does not cause any adverse effects. We perform biorevitalization using preparations which contain hyaluronic acid — a component which is cognate with skin. A beautician will make a personalized treatment plan for you at the initial consultation which is free. You will learn how you can stay young for dozens of years without any plastic surgery. What is the approximate price of a course? Unfortunately, there are no universal formulas to calculate the price. It is calculated on an individual basis. At a free consultation a beautician will tell you how many treatment sessions you will need and what the cost of the whole biorevitalization course will be. On the average, it costs 20-30 thousand rubles. But you should be aware that, if the procedure is performed properly, the effect will last for nearly a year which means that your expenses for beauty and youth will not be very high. Call us at 8 800 700-72-87 to book a free consultation or place your request and find out how biorevitalization can make you look younger.